David Evans Shaw is Managing Partner of Black Point Group, with wide-ranging interests in technology companies and public service. 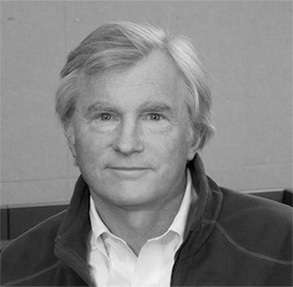 His business creation, leadership, investment and board experience includes IDEXX Laboratories (founder, CEO), Ikaria Pharmaceuticals (founding CEO, chair), Covetrus – formerly Vets First Choice – (co-founder, chair), Sapphire Energy, Ironwood Pharmaceuticals, Itaconix, Skinetics, Modern Meadow, Cyteir, Cytyc, Physion, Venrock Associates, MyTaskIt, New Mountain Capital, Polaris Venture Partners, the film Second Century Stewardship (executive producer), and others. He has also served as a strategy consultant to consumer product, food and agribusiness companies. Shaw has served on the faculty of Harvard’s John F. Kennedy School of Government, and the advisory board of the Center for Public Leadership with interests in leadership, corporate governance and business social responsibility. He is Chair-emeritus of The Jackson Laboratory, Treasurer emeritus, trustee and a Fellow of the American Association for the Advancement of Science (AAAS) publisher of Science, founding chair of the Sargasso Sea Alliance (ocean conservation), a trustee-emeritus of the National Park Foundation, and a founding Advisory Board member to Curiosity Stream. Other affiliations have included Leadership Council of the Service Year Alliance, board member of Maine Medical Center and Hurricane Island Outward Bound, a member of the Executive Committee of the US-Israel Science and Technology Commission, the Council on Foreign Relations, Explorer’s Club, Service Nation, the selection committee for America’s Best Leaders (US News and World Report), YPO, WPO, CEO and others. Shaw has been awarded honorary degrees by Colby College, Bates College, Maine College of Art, and the University of Southern Maine. Shaw was inducted into the Teddy Roosevelt Society, and IDEXX was inducted into the Life Sciences Foundation’s Biotech Hall of Fame in 2008. Shaw was honored at the 2017 New York Restoration Project Hulaween Gala. He was named 2013 International “SeaKeeper of the Year” (with the Sargasso Sea Alliance board) by The International SeaKeepers Society, Wave Maker at the 2016 Blue Ocean Film Festival. In 2018 Shaw was appointed a Patron of Nature by IUCN (International Union for the Conservation of Nature). Additionally, Shaw was the recipient of the 2013 Leslie Cheek Medal from the College of William & Mary.